Android apps are coming to all Chromebooks released in 2017 or later, Google says. If you’re buying a Chromebook released in 2017 or later you’ll no longer need to worry about whether or not it will run Android apps. Google recently added a note saying as much to its Android apps for Chrome OS support page, as first spotted by Android Police. “All Chromebooks launching in 2017 and after...will work with Android apps in the coming future,” the note says. That was pretty much expected to be the case, but it’s nice to see Google guarantee this for buyers of new devices. Even though Google is saying Chromebooks from here on out are getting Android support, it still plans to extend support to older devices. Chromebooks designated for Android support are still listed as they were before, and Google says they will still get Android support. The impact on you at home: Even with this new policy, it’s not going to get any simpler figuring out if that Chromebook you want to buy is getting Android app support. New Chromebooks for 2017 have yet to appear, and even when they do there will likely be a glut of older Chromebooks available—especially if you buy online. Be sure to check Google’s support page (link above) to see whether or not the Chromebook you’re interested in will support Android apps. Chromebooks for Home in 2017? 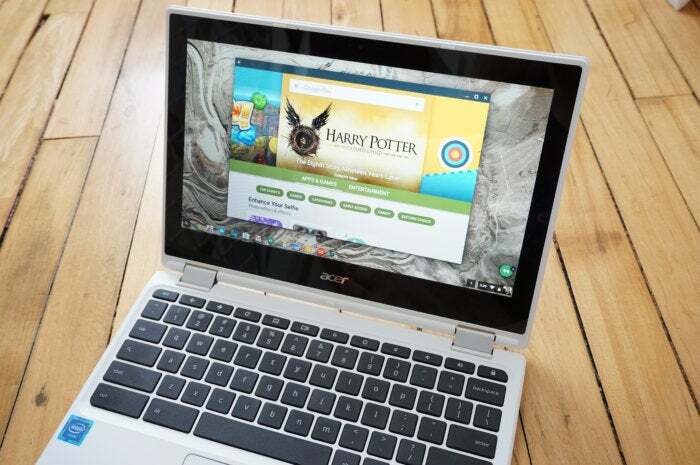 Chromebooks have always found a home in the education market but they've yet to become popular with home users. With Android apps coming to Chromebooks, at least some computer makers are hoping that will change. Fresh battles lines between Chromebooks and Windows PCs were drawn at CES 2017 in January. Asus introduced the next iteration of the Chromebook Flip. Samsung, meanwhile, unveiled the Chromebook Plus and Pro, two premium touchscreen devices that aim to make the most of Chromebook Android integration.